Today we take an early look at Kentucky Derby 2019 contenders. 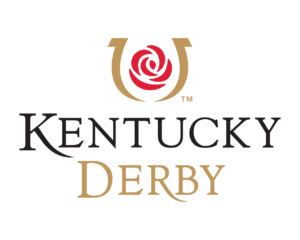 In addition, we will preview updated Kentucky Derby odds for KD 145. Ready for some Kentucky Derby predictions? The Kentucky Derby continues to be the pinnacle of horse racing championships. Although Kentucky Derby 145 happens on the first Saturday in May in 2019, is it ever too early to start looking at potential contenders for the big race? Several notable handicappers have begun picking horses that could possibly contend and win the Kentucky Derby in 2019. While it is probably too early to bet in any futures pools, you might want to put these horses on your radar and watch them compete in the “Road to the Kentucky Derby” qualifying races. Bob Baffert horses tend to get a lot of love at Churchill Downs. Tale of the Union is no different. This horse won convincingly against a field of contenders at Del Mar in August 2018. Could Baffert continue to dominate at the Derby or does this year’s Kentucky Derby championship below to another trainer/horse combo? Tale of the Union has a storied pedigree that includes former Derby contenders such as Storm Cat and Union Rags. Keep an eye on Tale of the Union as we get closer to Derby 145. Tale of the Union is a horse that has shown a lot of guts and he seems to run well in practice. It’s hard to bet against a horse that has the word “Winner” in his name. Game Winner is another horse that is trained by Bob Baffert that is also getting a lot of early love in this year’s leadup to the Kentucky Derby. Game Winner’s pedigree includes A.P. Indy and Seattle Slew, a triple crown winner from the 1970s. Game Winner is 3 for 3 in his first 3 races and many will use Game Winner’s performance in the Juvenile at the Breeders Cup to see if Game Winner can measure up against the world’s best 3-year-old thoroughbreds at Kentucky Derby 145.